Running the equivalent or more of a full marathon every day for five days, with temperatures reaching the mid-40s, the Namib Desert Challenge is a super test of endurance, stamina and the ability to persevere through personal pain barriers. Regarded as one of the toughest footraces in the world, this contest covers 228 kilometres of inhospitable, desert terrain. The race comprises five stages of high-endurance ultra running through rugged land, rocky mountains, the famous Sesriem Canyon, and navigating two of the highest dunes in the world, with competitors carrying their own survival kit and food. Need to get your adrenaline fix from the back of a motorcycle? Organised by Live to Ride Windhoek, the oldest motorcycle club in Namibia, the President’s Run is an annual event held in Omaruru. Funds from this event go to the Bikers’ Church and other charity organisation in need of assistance. Taking backpackers on a journey through the second-largest canyon in the world surrounded by spectacular scenery, solitude and total wilderness, the Fish River Hiking Trail ranks among the Big Five hiking trails in Southern Africa. Hemmed in by sheer canyon walls towering as much as 549 metres above the meandering river course, the trail runs between the northernmost viewpoint of the Fish River Canyon and the thermal hot spring at the /Ai-/Ais Spa. The trail is 85 kilometres long, is self-guided and usually takes four to five days. The hike can be undertaken only from the beginning of May until 15 September, due to high summer temperatures and the danger of flash floods during the rainy season. 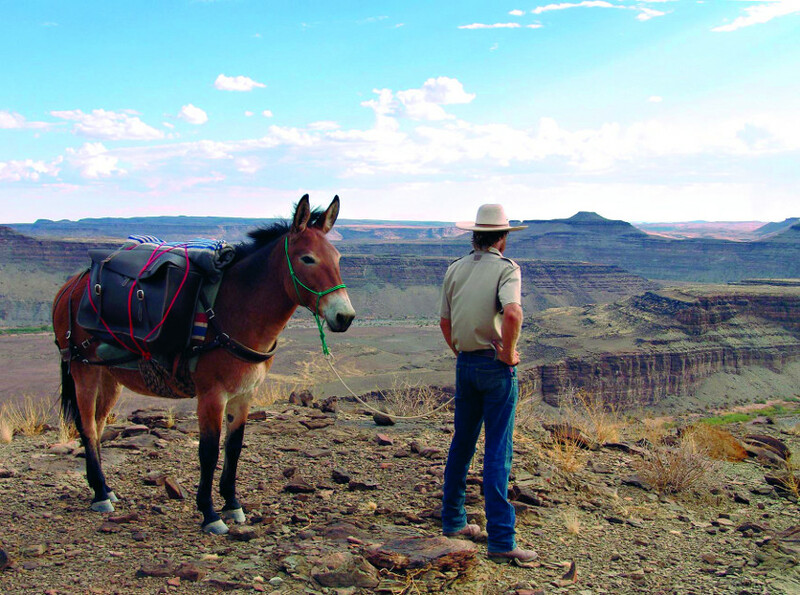 Mule Trails Namibia offers two trekking tours in the Fish River Canyon without hikers having to carry heavy gear. Hiking enthusiasts who are physically fit and adventurous enjoy the rugged beauty of almost pristine nature in one of the largest canyons on earth with just a light rucksack containing the day’s necessities. Mules carry the rest of their luggage and equipment. Mule Trails Namibia offers trekking tours (4 to 5 days) guided by qualified guides and take place in the wilderness area north of the main lookout point. Tours are conducted from April to September. This one is for mountain bikers. The Kuiseb Classic starts just outside Windhoek and traverses the Khomas Hochland, through the beautiful scenery of the Kupferberg Pass – through mountains with surrounding hills, grasslands, trees and valleys, which separate the Namib Desert from the interior of Namibia. 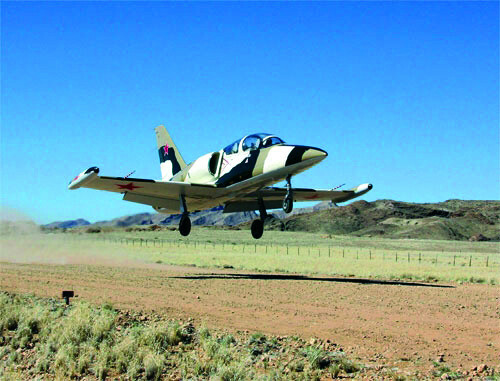 The annual Rostock Ritz fly-in takes place during the first weekend in June at Rostock Ritz Lodge in the Namib Desert. Pilots from Namibia and abroad attend the event, which is held under a different theme each year. The fly-in programme entails flight performances, navigational exercises, spot landings and various other fly-in competitions, and is supervised by air-traffic controllers. 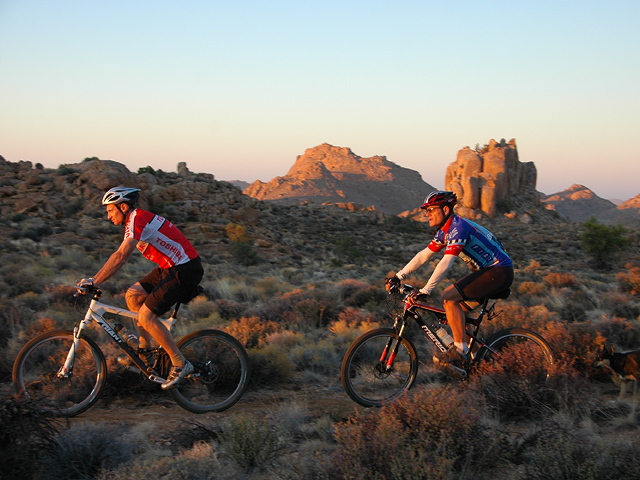 This six-day mountain-bike stage race kicks off in Windhoek and finishes in the famous coastal town of Swakopmund. Riders on this approximately 500-kilometre journey pass through the mountains of the Khomas Hochland en route, dropping down into the Namib Desert, and traverse through sections the Namib-Naukluft Park. What makes this ride special is the fact that participants have the privilege to cycle through areas that are largely closed to the general public and are treated to some of the most spectacular scenery in Namibia. Following part of the German Schutztruppe trail in the Aus environs in Namibia’s deep South-West, this race covers historical grounds on rugged off-road terrain. Taking place along the banks of the Orange River, through vast plains and into the rough terrain of the Aussenkehr Mountains, this footrace tests the limits of both physical and mental endurance. The three-day race covers about 100 kilometres, mostly through the canyons, valleys and boulders of the Aussenkehr Nature Reserve. The annual Pointbreak Open Water Challenge is the longest open-water swimming event in the country. Competitors can choose between a 700-metre sprint and a 2.1-kilometre sprint. Taking place at Oanob Dam just outside the town of Rehoboth, the Pointbreak Open Water Challenge with its extended distances tests endurance levels. Open-water swimming is a sport anyone can do, and is one of the fastest-growing sports worldwide. This article originally appeared in the Travel News Namibia 2013 Autumn edition.